There are many opportunities to support local organizations. Sometimes its challenging making the connections or knowing who to ask about volunteer opportunities. 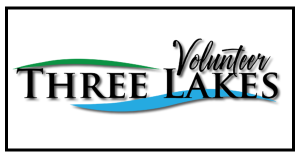 Volunteer Three Lakes allows community members another way to make these important connections and work together for causes that mean so much to everyone. Volunteering in every respect is a good thing. You give back to the community, help a good cause, and you benefit others. If you are interested in dedicating some of your time and talent to support organizations in Three Lakes, please take a few moments to fill out our brief volunteer form. Thank you for supporting what matters in Three Lakes! For those concerned about the sled sinking through the melting ice on Big Stone Lake….not to worry! The sinking sled is for a fundraising contest by Three Lakes Trails and has been prepared so that there is no environmental contamination. We’re grateful to hear from so many of you who are concerned about the the snowmobile and its impact on the environment! It’s a magical time of year and the 2018 Summer events season is about to launch. You survived the cold winter and the snow is beginning to melt…for the second and third time! Visitors are planning their trips to Three Lakes and over the coming months our community will welcome these guests with the warmth and friendliness that is the culture of Three Lakes. We are currently in a “timing sweet spot” for executing strategic planning for 2019 events. Right now, you have a clearer idea of how you will execute your 2018 events. 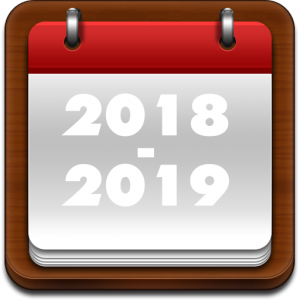 While the Chamber is also working on 2018, we’re thinking well into 2019 and want to help our community organizations with 2019 priorities so we can keep the marketing ball rolling. The idea planning the 2019 calendar may seem quite early at this point, so we hope you’ll join us for a conversation on April 18 at 4 PM at Northernaire to discuss what it takes to plan your calendar, organize your events, and develop strategic partnerships with other community organizations and volunteers in order to execute your events flawlessly. Before the crowds arrive in Three Lakes, we hope you will spend an hour meeting with other community members for a conversation on how we can make plans and develop ideas that will support the work of each other’s organizations.